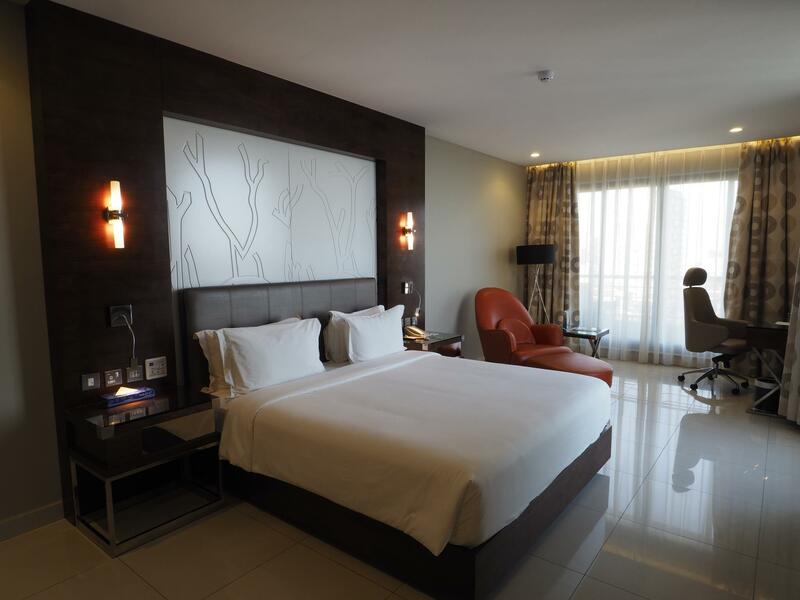 ﻿ Harbour View Suites Dar Es Salaam. JIMAT di Agoda.com! 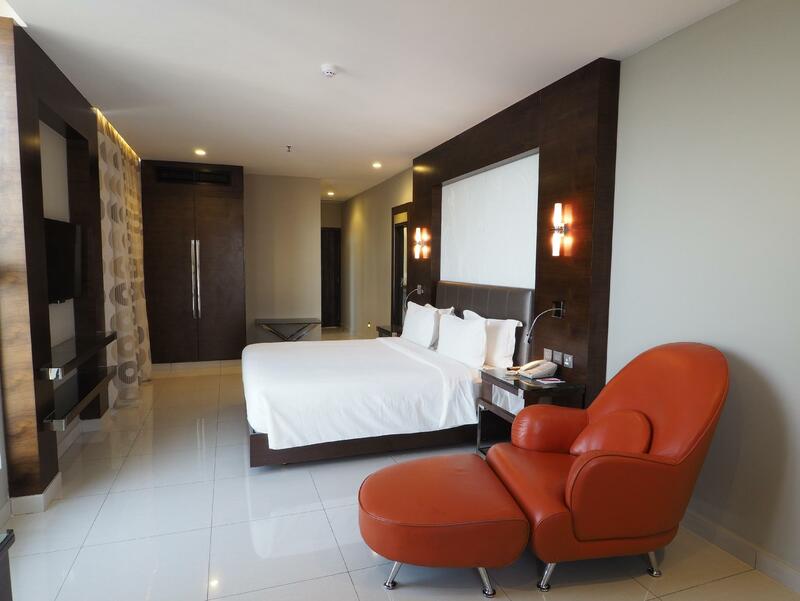 Ada soalan mengenai Harbour View Suites? Direka untuk kedua-dua tujuan perniagaan dan percutian, Harbourview Suites terletak di lokasi strategik di Kivukoni; salah satu kawasan yang paling popular di bandar tersebut. Hotel ini terletak 0.2 Km dari pusat bandar dan menyediakan akses kepada kemudahan bandar yang penting. Persekitaran yang terjaga dan kedudukan berhampiran dengan Pejabat Telecom, Gereja St Joseph, Katedral St. Joseph memberi hotel ini daya tarikan istimewa. Menawarkan tetamu hotel perkhidmatan yang unggul dan pelbagai kemudahan, Harbourview Suites komited untuk memastikan penginapan anda berada di tahap seberapa selesa yang mungkin. Khidmat bilik 24 jam, Wi-Fi percuma semua bilik, pengawal keselamatan 24 jam, pengemasan harian, khidmat teksi merupakan beberapa kemudahan yang membezakan Harbourview Suites daripada hotel-hotel lain di bandar. Semua penginapan bagi tetamu menawarkan kemudahan yang difikirkan dengan teliti bagi memastikan rasa selesa yang sukar ditandingi. Hotel ini menawarkan kemudahan hebat, termasuk pusat kecergasan, kolam renang terbuka, taman, untuk membantu anda berehat selepas hari yang penuh aksi di bandar. Apapun alasan anda untuk melawat Dar Es Salaam, Harbourview Suites adalah tempat yang sempurna untuk percutian yang menyeronokkan dan menarik. The living room of the two-bedroom suite was huge; the view out the windows was fantastic; The downtown location was convenient. Traveling with a business colleague, we rented a 2-bedroom suite in lieu of 2 separate rooms. We got a huge sitting room with a glass dining room table, sofa, wide flat-screen television. Staff were friendly and helpful. A dinner guest loved the seafood medley in the hotel restaurant with prawns, lobster, and other delicacies. Nice big room. Was a little odd having a hotel on floors 9-11 of a building. But a quick walk to the ferry made it ideal for a trip to Zanzibar. We enjoyed our stay. Staff very friendly and helpful. Close to the Zanzibar ferry and they happily store your luggage if you plan a few days away. Close to city centre. Clean and comfortable. The whole floor is filled with rotten smells The smell in the room was so bad that we had to keep the door to the balcony open. It may help if they chance AC filters and clean its ventilation. Otherwise, the room was clean and spacious. The Hotel is very close to the ferry terminal if one is planning to catch a ferry to Zanzibar. We did not have a seaview but the Restaurant does. The room was spacious and clean and had a microwave and kettle.There is not much around the Hotel but it is perfect for an overnight stay en route to Zanzibar by Ferry. I was in Dar on a business trip, alone, planned to stay just for 10 days but ended up stayed here 20 days, it was stressful business deal but the hotel and staffs relaxed me!! I enjoyed it. It is safe, securities are everywhere, they turn down and clean your room daily. The room is clean, I had a view of the sea, which is nice with a balcony. 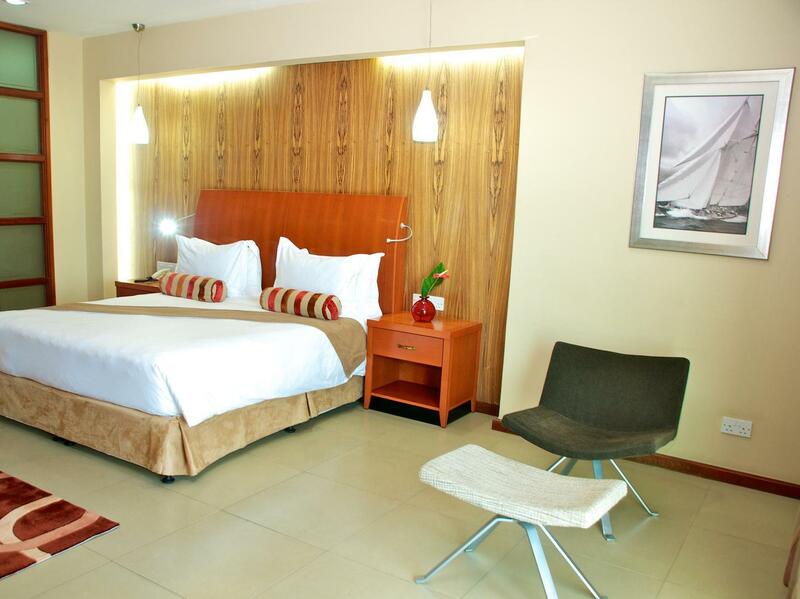 I'd recommend this hotel to other business or family travelling to Dar Es Salaam. We were at Dar e Salam for a religious event and stayed at this hotel for 15 days. And we booked close to 15 rooms in this hotel. I would like to share both the positive and negative aspects of my stay. 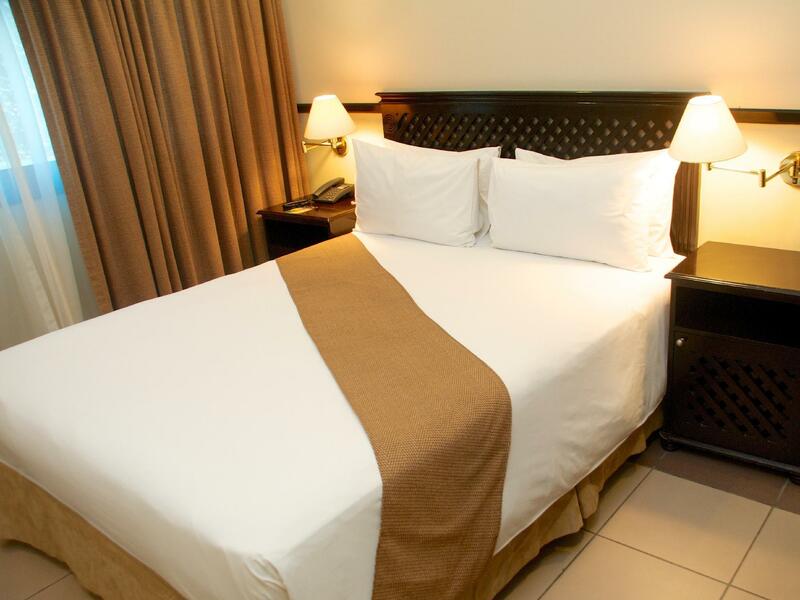 POSITIVE Large spacious rooms and bathrooms Conveniently located supermarket, exchange, restaurant below the building Friendly service staff Decent breakfast with 6 hot varieties, egg station and fresh fruit and juices. Excellent coffee! On request, they went out of their way to provide us with an extremely early breakfast buffet one day, that started at 3am. Good location near city centre and plenty of taxis outside the hotel. NEGATIVE Rude and unaccommodating reception. They were really condescending and we had to plead and cajole them for the basic services. That's because there was a high demand for rooms for these days. Extremely unprofessional!!! We were 3 people in a room and they charged 30$ extra per day but they didnt provide any bedding whatsoever! The location is convenient to the ferry terminal. 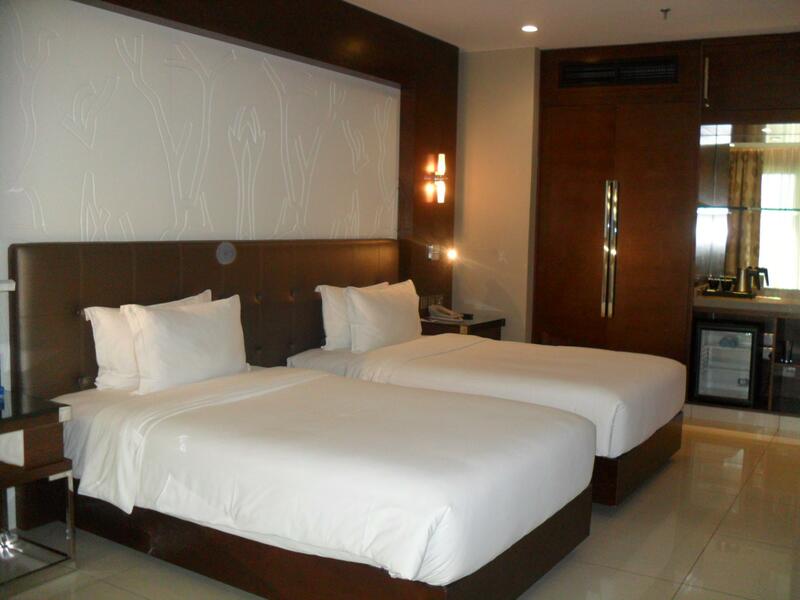 The room was spacious, with a spotless bathroom, a small kitchenette, and comfortable bed. There is a small, clean gym that was also convenient for a quick run on the treadmill. The restaurant overlooks the harbor, and the balcony is a great spot for enjoying a couple of drinks at sundown, but the food was overpriced and disgusting. 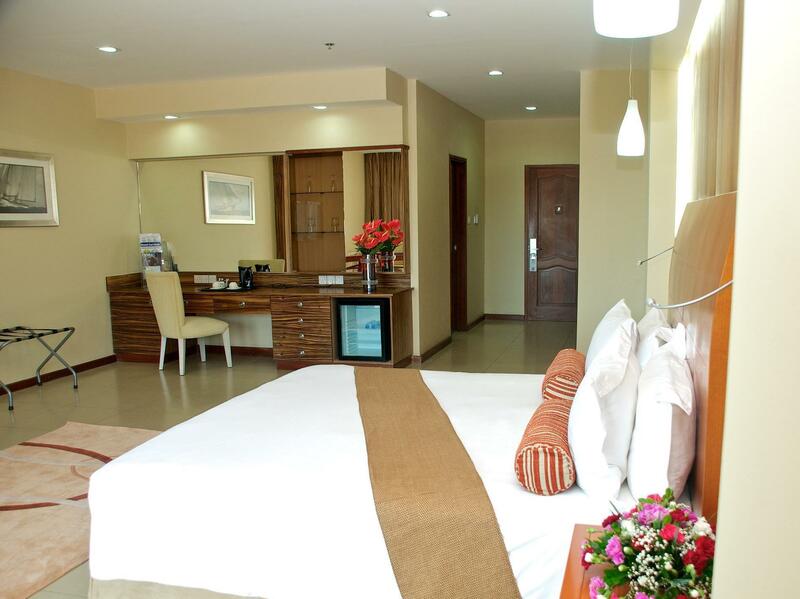 Overall, it was a comfortable stay in Harbourview Suites Hotel in Dar Es Salaam. Room was clean and air-cond was functioning well. Staff were courteous. Breakfast was simple but it was good enough. Perhaps, the hotel should consider to include more International Channels / program on the TV system. Currently, they have only BBC, CNN, Movies, and Indian Channels. Unfortunately, I encountered 2 hiccups in which the hotel had forgotten : 1. to provide wake up call as I have requested. 2. to arrange for my booking for transport to the airport at 4 am. Finally, they got a local taxi to send me to the airport. This was my second stay here. See my review for the first. This time I stayed for 10 days for work. I must admit I liked the room they gave me. It was large and this time had a view of the street below, which is interesting for me. As I stayed longer, I also get to enjoy the complimentary breakfast, which is very good, in African standards. In fact, having had 2 meals at the restaurant, I can say that the food is good. The restaurant staff, especially a Mr. Leonard, is great. Mr. Leonard can be giving lessons to the rest on what a great waiter is. He is professional and lovely. The view from the restaurant is nice. It is of the sea and it is interesting. The hotel is really in the centre of the hustle bustle of the city and at certain times, the traffic outside the hotel is at a complete standstill. The security staff on the ground level hardly speaks English and therefore not very friendly. All in all, this is a hotel you can stay in if your business is in the city centre. There is a supermarket below and a casino for those who like it. However, for tourists, stay somewhere quieter. This was my first stay at this hotel and I had no eectations. Having been a few times now to Africa, I am aware that I have to lower my standards for hotels as they cannot compare to those I know in Asia. This hotel has its lobby on the eleventh floor. The service of the staff varies between terrible and very good, depending upon who you meet. 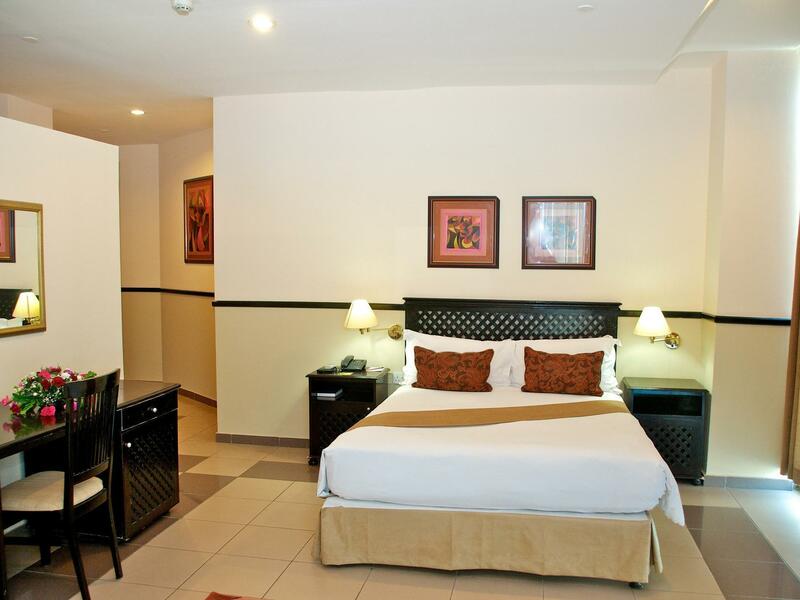 But again, this is Africa and perhaps it is not a norm for them to know what good customer service in a hotel is. My room was large, with no view or a view of a building, but as I was there only for a night, it was fine. The television had 'cable' but the reception was terrible. What, for me, makes a great hotel, is really the service they provide. And some of the staff really requires training on this. The room is very spacious and very nice sea view but not so pleasant in the night due to noise from construction at adjacent site. The bath tub is having lots of stains and the water coming from the tap of bath tab is rusty in color. Cleanliness. Quiet. Views of the harbour. Only stayed one night. Hotel was being renovated when I stayed - I see this as a positive rather than a negative as looked to be to a good standard. My room was of a good size and nicely fitted out. My only real criticism is that the Internet was totally substandard for any hotel, let alone a business oriented one - I could barely get any coverage in my room or even in their lobby. Once this is sorted, I would highly recommend. Until then, it's nearly a good hotel. For the price, I think it might be the best in Dar. Very clean, great location, and the rooms are fantastic. Breakfast is definitely a highlight. It has nice view from the restaurant. It is on the top of small shopping mall, you can buy food, medicine and cosme without going out. The web at reservation had a mistake and I was able to reserve the room for $8/night. Granted I knew it was a mistake, but decided worse case I had a friend that I could stay with. Long story short... Managerment complained but was able to stay 2 nights for $20 total... With that said of course it's worth it... But at the rack rate? Not really. It's not as clean and doesn't give you a comfy feel. For some reason you feel dirty.... The kitchenette is nice and the room itself is fairly large. The only convenient aspect of this hotel is that it is near the AZAM Ferry. That's it. There is really nothing else around the area.